Outside the Black-faced Spoonbill visitor center, Qigu, January 27th. 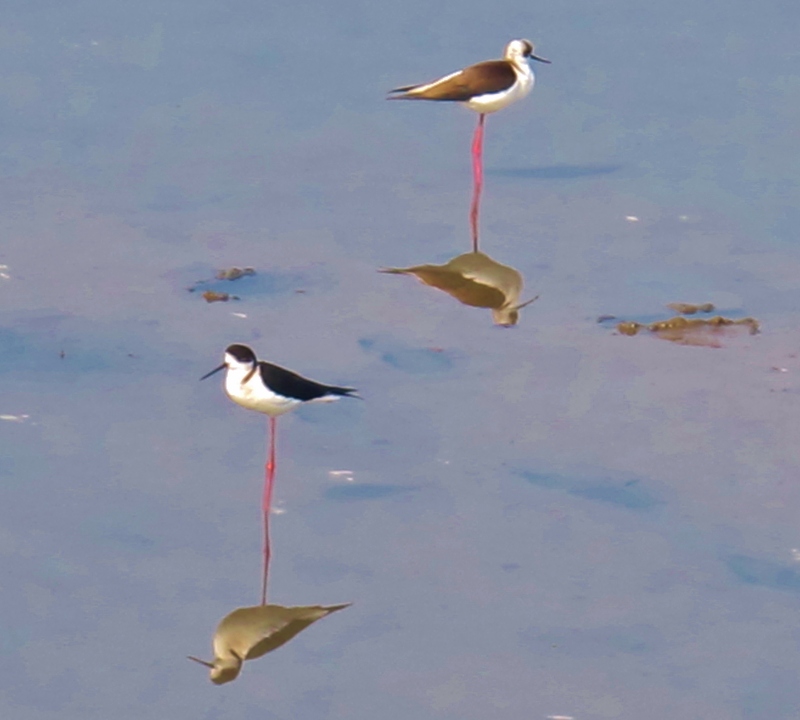 A quick visit to Qigu revealed many of the species seen there last weekend, with the notable additions of Curlew Sandpiper, Eurasian Curlew, Little Tern, and a splendid Purple Heron. Between Tainan and Qigu, I stopped briefly at a small but promising-looking wetland which lies right next to the road and is easily viewed from the northbound carriageway of Highway 17. Among big numbers of the common ducks and herons were at least 20 Avocets and a single Black-faced Spoonbill. Just a stone’s throw to the north, a pitifully small remnant of mangrove habitat has been set aside as a nature preserve complete with viewing platforms and screens; one imagines it was a compulsory concession funded by local factories. 2 Yellow Bitterns and plenty of roosting Black-crowned Night Herons were the best birds here. Finally, just south of Tainan, again alongside Highway 17, another small wetland is worth a quick look when passing through. Today, this one held perhaps 30 Avocets, at least 4 Northern Pintail, and 2 Marsh Sandpipers among good numbers of commoner species. 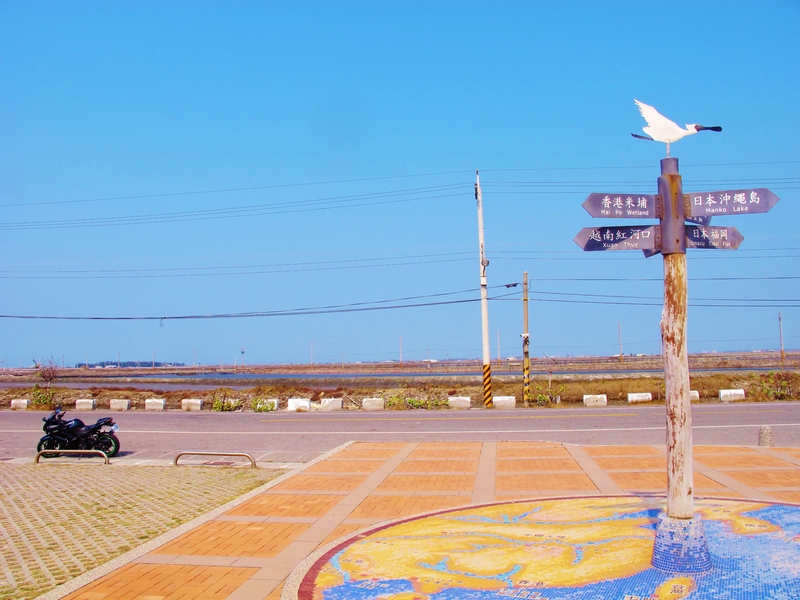 Kaohsiung’s weather is often beautiful in winter, with clear blue skies every day and pleasant temperatures, warm enough for T-shirts (23-24C) in the daytime and dropping to a pleasantly cool 15-16C in the evenings. However, the by-products of local and nearby mainland Chinese heavy industry, the fumes from a million scooters, and the almost total lack of rainfall between November and April, combine to create air pollution in the lowlands and foothills that can frequently verge on the harmful. A good way to escape the perpetual smog is to head to the high mountains at every opportunity. But when I awoke this morning, a surprise was in store – the air in downtown Kaohsiung was crystal clear. So clear that inland mountains, some 50km to the east, were actually visible. This is a rare event in winter, and the drive to Tengjhih was very pleasant. 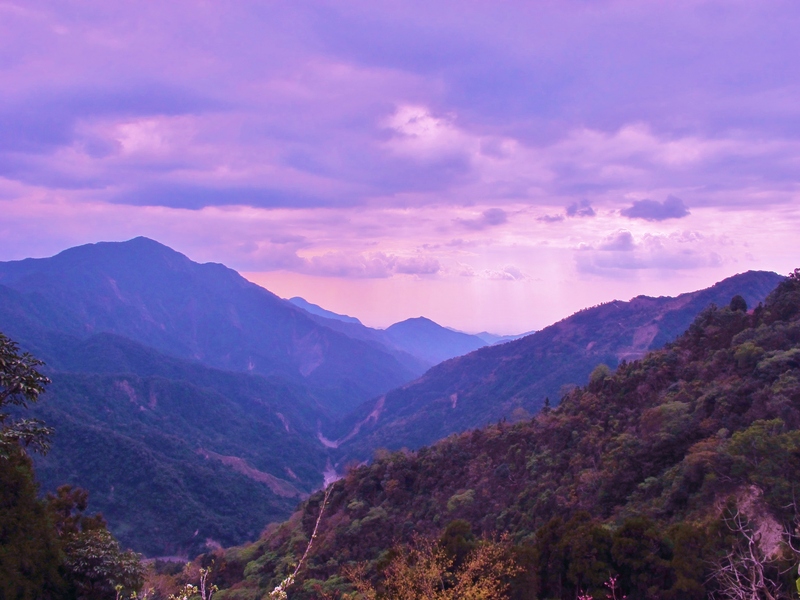 One can only imagine how beautiful the landscapes of southern Taiwan used to be before very recent times, before industry and “progress” took their toll on the land and the air. I walked the blue trail today, in a clockwise direction, before heading north on the brown then the red trail, walking up the road as far as Km 17, then turning around and returning on the road all the way south to the village. I walked the full length of the blue trail today, which descends a fair way into the valley before climbing back up to reconnect eventually with the brown trail. The habitat becomes a little more patchy and degraded lower down, and was accordingly less rich in bird life than the higher trails. Nonetheless, wherever a damp, shady corner presented itself, there was often something good to be seen: frequent White-tailed Robins, a single Collared Bush Robin, and a pair of Taiwan Bamboo-Partridge. One such shady corner, just before the brown trail, held both a Scaly Thrush and a Red-flanked Bluetail (the latter a Taiwan tick for me). Close by was another surprise: a party of 8 Brown Bullfinches feeding on tree buds. This is my first record of this species at Tengjhih, and only the second time I have ever seen them in Taiwan. I love how this site continues to reveal new birds on almost every visit …. long may it continue to do so. 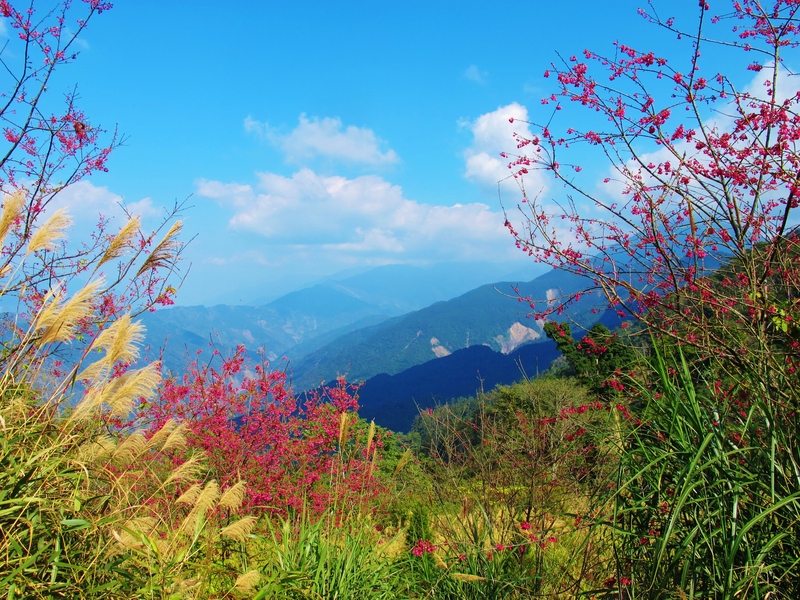 Short-grass verges and damp shady areas at Tengjhih, particularly along the brown trail, are a good bet for sightings of White-tailed Robin, and may turn up more unusual species such as Red-flanked Bluetail, Siberian Rubythroat, Collared Bush Robin, Taiwan Shortwing and Scaly Thrush. Further up, on the roadside near Km 17, a burst water pipe attracted many birds to drink and bathe. Legions of the expected Steere’s Liocichlas, Taiwan Sibias, Taiwan Yuhinas and Rufous-faced Warblers were joined by a handful of Dusky Fulvettas, showing well in the open, giving me my best-ever views of this usually very inconspicuous species (and another first record for my Tengjhih list). 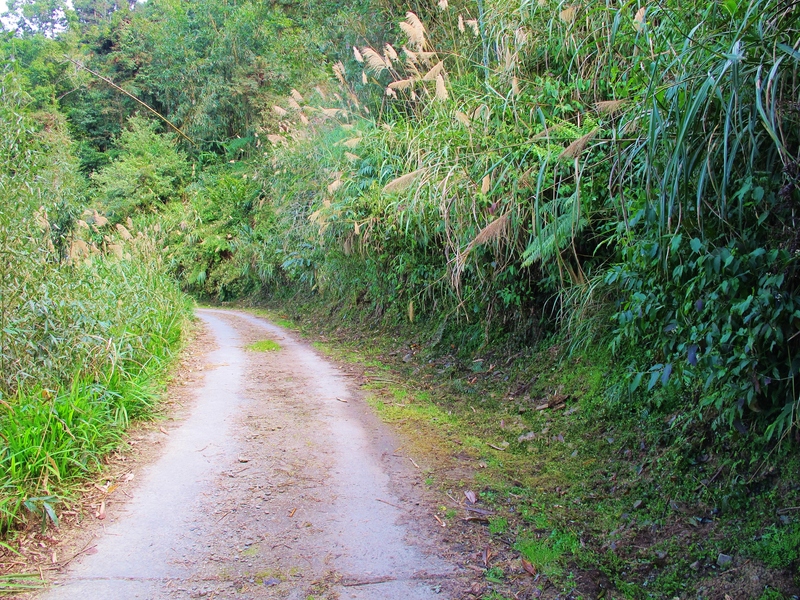 Nearby, a Vivid Niltava was a beautiful sight, and a smart Taiwan Whistling-Thrush occasionally showed on a roadside wall. Steere’s Liocichla and Taiwan Sibias at a burst water pipe along the roadside. Rounding off today’s 4 hour visit, I walked slowly back down the road, which was busier than usual today, with cars stopped here and there so their occupants could photograph the beautiful pink blossoms and the mountain views. 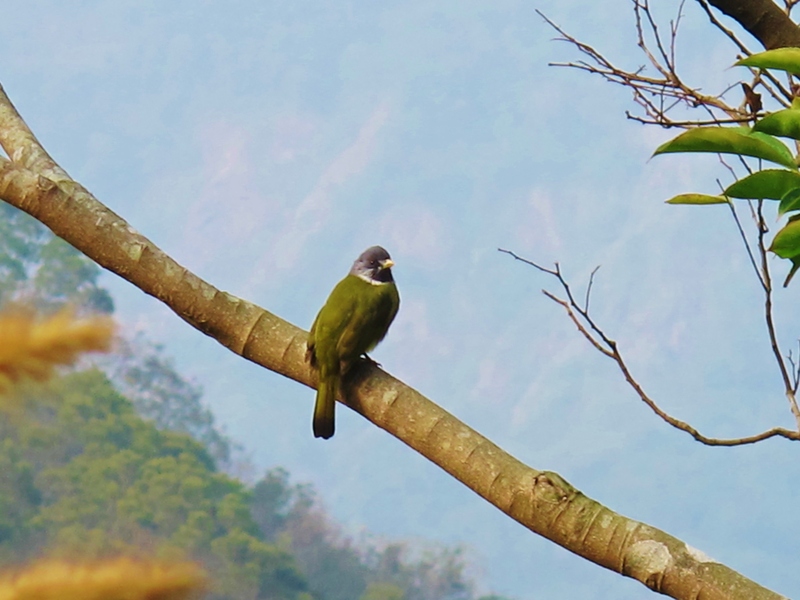 Flocks of the common species were frequently seen all the way down, with a handful of less common birds, most notably a pair of White-bellied Green Pigeons hidden among the blossoms in some trees below the road. They showed well and I managed a record shot or two with my camera. 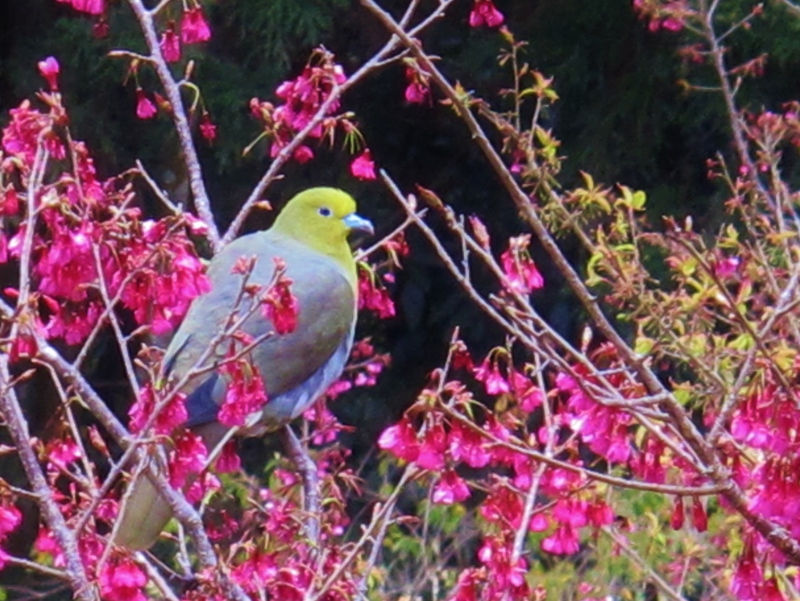 White-bellied Green Pigeon, Tengjhih, January 26th. 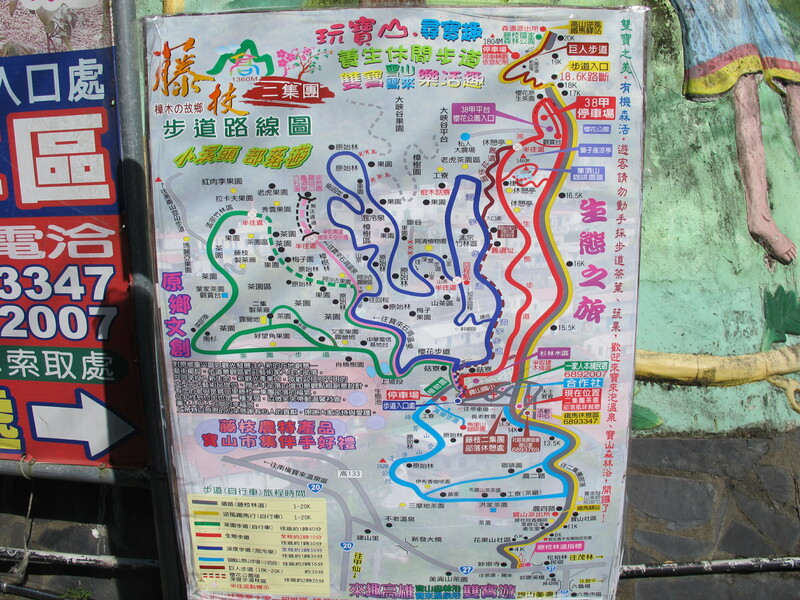 We drifted south on the 185 from Maolin to Sandimen, negotiating road works and hundreds of half-marathon runners, before joining Highway 24 and making our way deep into the mountains towards Wutai. Near Sandimen, an emergency stop was required when we spotted an adult Black Eagle soaring close to the road; in keeping with sightings of some other birds this winter, I was surprised to see this montane species so low down at probably only a couple of hundred meters above sea level. 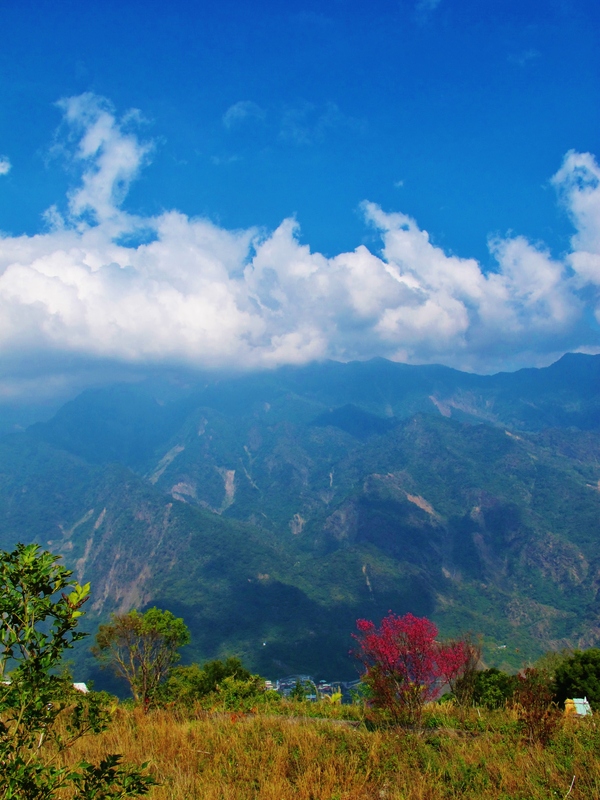 A few raptors were in evidence around Wutai village, with Black-eared Kites omnipresent around the surrounding hills, and a pair of Crested Serpent Eagles seen. The abandoned village turned up few birds except for a splendid male Daurian Redstart. The villages along this road are good for Oriental Turtle Dove, and about 5 were seen. I also spent some time looking for Russet Sparrow but to no avail. 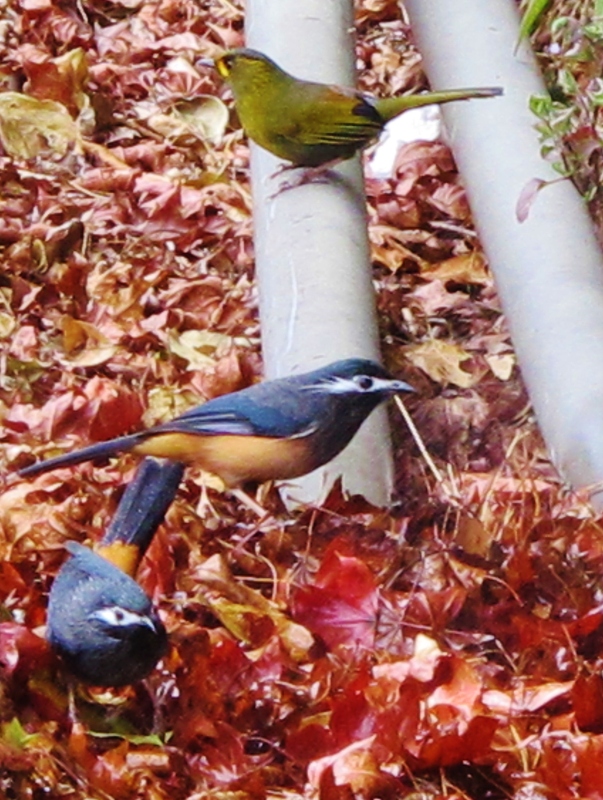 This is a rare bird in Taiwan and one that I have never seen, even when I lived in Korea. It’s turning into a major gap on my East Asian list and one I am getting more and more desperate to see. 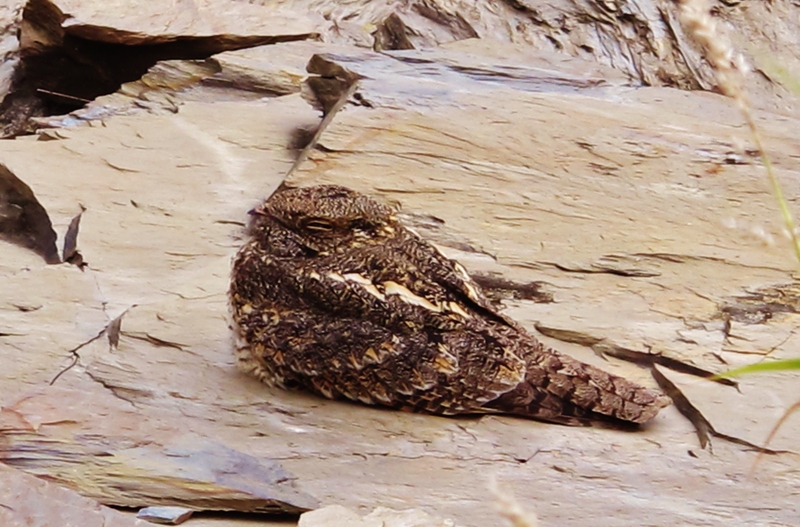 Last weekend, I saw and photographed several Savanna Nightjars on a steep scree slope beyond the km44 marker on Highway 24. Today we didn’t have time to revisit the area, but I will for sure be heading there again in the next few weeks – watch this space!